Here you will find the most common questions related to natural slate and our selection of products. What is the life expectancy of roof tiles? What is the fire resistance of a natural slate? What is the age of slate? What is the minimum headlap for fixing slates? How much does slate weight? 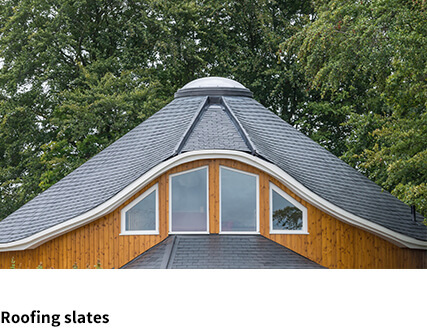 Why choose natural slates for roofing? Can CUPACLAD be installed on buildings up to 20 floors high? 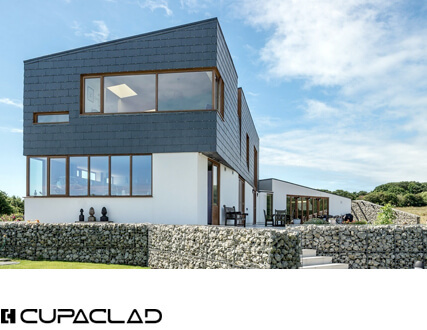 Can CUPACLAD be installed with other materials: wood, concrete, masonry? What is the recommended insulation material width? What are the advantages of a ventilated CUPACLAD façade? Does CUPACLAD offer a warranty? What criteria should be considered when designing a ventilated façade? What is the wind resistance in region X and wind load in Y? How to work around the crowning of the façade and the window gaps? What is the CUPACLAD weight per square metre? What certificates does the CUPACLAD have? How does CUPACLAD perform in extreme sunlight exposure and high temperatures? Can any type of slate be used with the CUPACLAD systems? What does thermal solar energy consists of? Where can it THERMOSLATE be installed? What does the integration consist of? Can THERMOSLATE be installed on a roof which already has CUPA PIZARRAS slate on? Who is in charge of installing it? 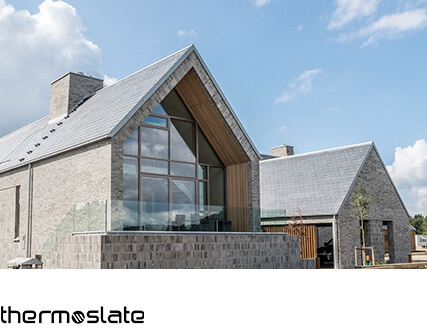 Can THERMOSLATE be installed with any slate or any other materials? Can THERMOSLATE be produced in any format? Is THERMOSLATE compatible with other heating systems, radiators and brands and models of accumulators and pumps? How much will THERMOSLATE payback? What is the percentage of hot water and heating generated with THERMOSLATE? Will shadows on the building affect the performance of THERMOSLATE? 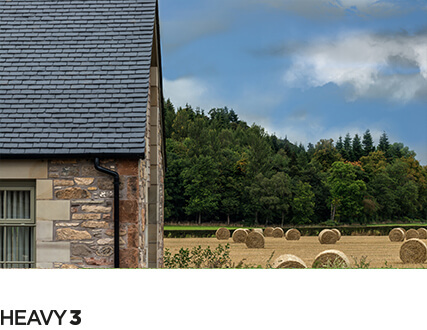 Can rain or snow affect the performance of THERMOSLATE? Is there any government tax schemes which help with the THERMOSLATE installation? Is the THERMOSLATE technical solar floor waterproof? Can the THERMOSLATE technical solar floor be stepped on? If yes, what is the maximum weight allowed on it? Can the solar panels overheat? Does THERMOSLATE have a warranty? What does it cover?